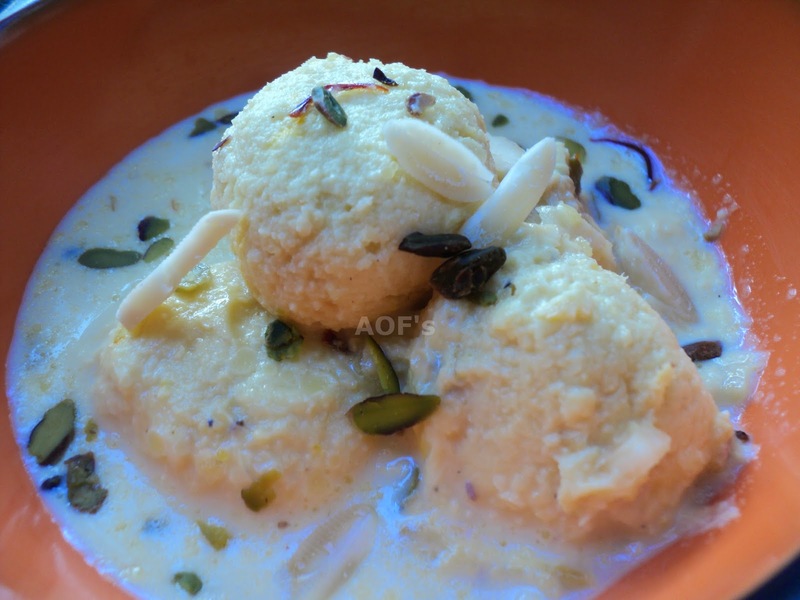 'Angoori Rabdi' or 'chenna'/ricotta cheese' balls soaked in flavored thickened milk can be called as a distant cousin of the Bengali dish 'Rasmalai'. However it is made richer by the addition of almonds, kesar and pista. Though it takes time to prepare the chenna and reduce the milk, this is one dish which can truly qualify as a labor of love !! Preparation - Bring half of the milk to boil in a saucepan. Do not let it boil for more than 4-5 mins. Dilute the vinegar with equal amount of water and add to the milk. This should be sufficient to separate the cheena from the green colored water. However if the water still looks milky, add some some water-vinegar mix. Once all the chenna is separated, add a few ice cubes and 2-3 cup water to the saucepan. This prevents the chenna from cooking further. Strain all the chenna and wash it under running water to remove any traces of vinegar. Gather it in a piece of cheesecloth/muslin and hang for 20-30 mins to remove excess water. Add the 2 cups sugar along with 5 cups water to a pressure cooker. Let it boil for 5 mins before adding the chenna balls. Close the lid and cook for 25-30 mins. Remove from the flame and allow to cool down to room temperature. Boil the remaining milk along with the pandan leaves in a wok till it reduces to half. Add the sugar, saffron, cardamom powder, condensed milk and half of the dry fruits. Simmer for 2-3 mins before adding the chenna balls (squeeze them with light fingers to remove excess sugar solution before adding to the rabdi) and the Gulkand. Switch off the flame. Allow to cool down before putting into the refrigerator. Garnish with a few strands of saffron, rose petals and more chopped cashews/almonds. 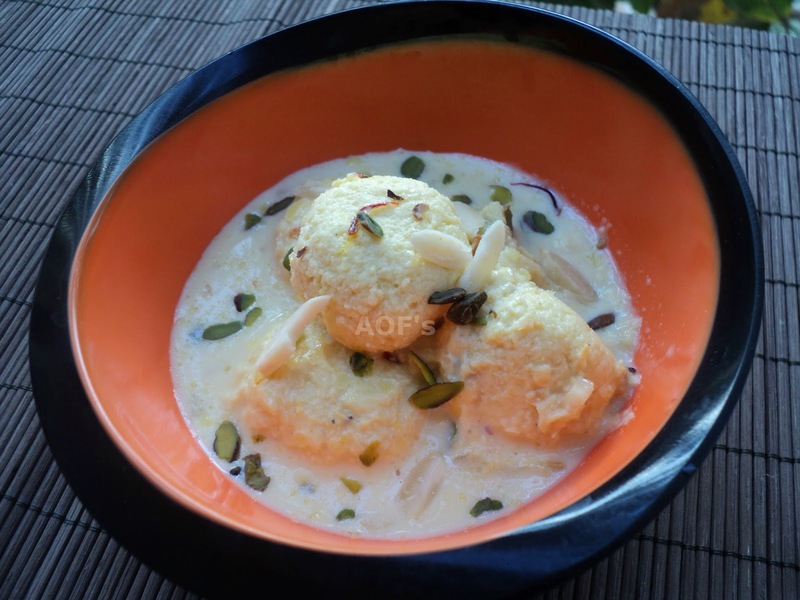 Click here for rasmalai recipe ! !